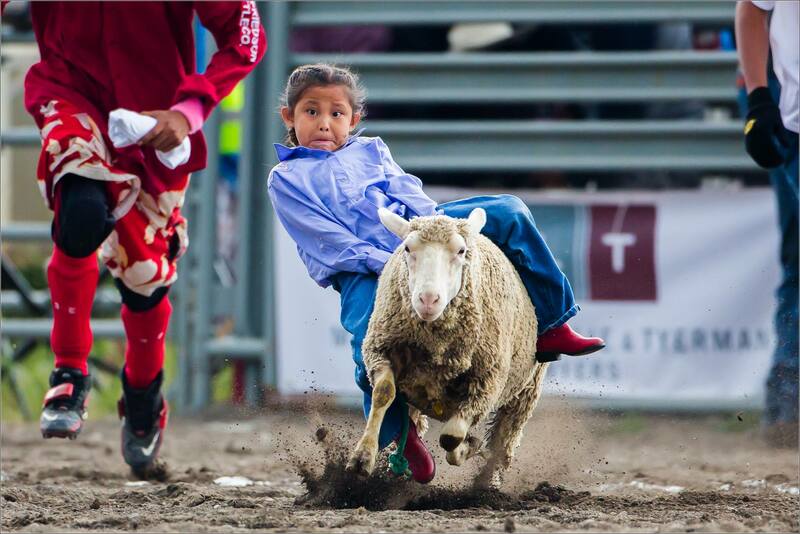 Mutton busting is an event often held during the half-time of rodeos. The Tsuu T’ina Nation’s rodeo finals on Sunday had a very enthusiastic group of cowkids participating in this super fun event. This young girl, flanked by her father and one of the rodeo clowns, had an iron grip on the rope around the sheep’s back. The little steed jerked her off-centre as the gate opened but she hung on for a great ride. A very tough little girl!